Well it looks like it is time for November’s Games With Gold predictions. 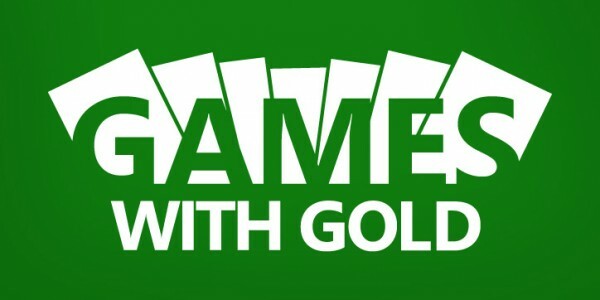 Let’s take a look at what the October Games With Gold are. Gone Home: Console Edition is available Oct. 1-31; The Turning Test is available Oct 16-Nov 15; Rayman 3 HD is available Oct 1-15; and Medal of Honor Airborne is available Oct 16-31. Assassin’s Creed: China is part of the Assassin’s Creed: Chronicles game trilogy with India and Russia. It is a 2.5D side scrolling games in which players control the protagonist and are able to use stealth and hide from enemies. The game tells the story of Shao Jun who is the last remaining Assassin in the Chinese Brotherhood and it takes place during the Ming dynasty in 1526 when the dynasty begins to fall apart. After Shao Jun’s meeting with Ezio Auditore da Finenze, Shao Jun goes on a quest for vengeance against the Templars in order to restore her fallen Brotherhood. Fallout: New Vegas is an open world action role playing game in which players can control the Courier who gets shot in the head and buried in the beginning of the game. Somehow the Courier survives this ordeal and goes in search of his assailants to get back the package they stole from him. Through his travels in the Mojave desert, the Courier comes across allies and enemies as well as the occasional mutated lifeforms and robots. Overall, if you are a fan of the post apocalyptic world this would be a great edition to Games with Gold. Though it was developed by Obsidian instead of Bethesda, New Vegas does have some of the same feels as Fallout 3 and Fallout 4 games. I enjoy this game. It does have that Fallout feeling but then again it has its own distinct feel to the game like how with Fallout 3 had that dark kind of feel and the D.C. area type of feeling while Fallout 4 had the Boston area and somewhat more upbeat kind of feeling. New Vegas is set apart with the desert and the Vegas area. Dead Rising 2 follows Chuck Greene who is a former motocross rider and he finds himself in the middle of another zombie outbreak that is taking place in a casino resort and shopping complex in Nevada. He becomes involved in uncovering the truth behind the outbreak. Not only must he deal with the zombies by scavenging weapons and supplies, along with dealing with survivors and crazed psychopaths, Chuck must make sure that his daughter gets the medicine needed to make sure that she doesn’t become a zombie herself. So if you’re into the whole open world survival game, then this would be a perfect edition to the Games with Gold. This is the second game in the Red Dead series. It is set in the American Frontier. It is set in 1911 and it follows John Marston who is a former outlaw and his wife and son are taken hostage by the government in ransom for his services as a hired gun. Marston, having no other choice, goes out to bring three members of his former gang to justice. Red Dawn Redemption is a third person game and it has an open world with a morality system. So the player can interact with the world at his own pace and based on his decisions & actions, the other characters respond to the player. She NEVER comes close with her predictions.